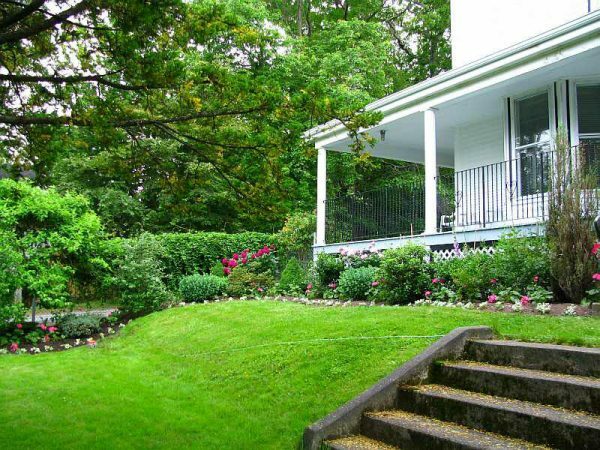 Set in the beautiful atmosphere of the Oakwood House on Lake Banook, the “Deep Teachings of Yoga” is a yoga teacher training program that offers yoga from the heart of understanding, true to the fullness of the yoga tradition. Upon graduation, participants receive a certificate as a Certified Yoga Instructor that meets and exceeds the standards of a 200 hour YTT certification program set by the Yoga Alliance. Support, assist, discover and develop through teachings, practices, dialogues and exercises in the pursuit of self-understanding and growth. Deepen your knowledge, practice, and experience of the plentiful gifts that yoga has to offer. Provide teaching communication skills and tools that can be used professionally with confidence by the end of the program. The practice of Hatha, Pranayama, and Raja Yoga, as well as specialty practices will be explored. Comprehensive courses on Anatomy, Teaching Methodology and Training, Nutrition, Lifestyle, and Ethics, as well as specialty courses will be offered such as Mandala Drawing, Chanting, the Chakra system, and much more. Focusing on Yoga philosophy, history, spirituality, and meditation, yoga is a system of self-verification. The contemplative track will be open ended and driven by the participants own interest. Yoga is not a belief system, but an investigative system towards greater Self-understanding, and ultimately realization and enlightenment. The contemplative track will unfold uniquely for each participant depending on their own interest and exploration. Yoga Heart truly delivers the highest teaching of what yoga really is and what it should be. Mandee draws from her amazing teachers and continues to pass her joy and knowledge onto her students. When you enter the room you are a part of the Yoga Heart family. Take everything you know (or thought you knew) about yoga and undo it all. What is revealed is the true self. You will learn everything from the history of yoga, healthy living, chanting, art and science (to name a few). Mandee is both spiritual and intellectual and asks that you challenge everything that is offered. Yogaheart Yoga Training is such of buffet of all things Yoga. Not only will you learn and be apart of an amazing lineage you are also encouraged to follow you own joy which is why Mandee spends so much time touching on all forms of Yoga. See where your heart takes you and follow it with full support from Yoga Heart. A year after having completed YYTT, I see that my life has gradually transformed. As my orientation towards myself shifted in the direction of loving kindness, life started to unfold in ways that affirm my trust in life and in myself. Life has always been the perfect teacher and playground, and I see that now. The more I grow in the direction of what I love, the more life continues to offer opportunities and experiences that remind me of the peace, joy and love that I am, that we all are. Gratitude continues to grow in me as I relax, breathe, listen, and simply notice. Thank you, Mandee, for offering a YYTT that invites exploration of the deepest questions in life. Your entire approach fosters knowing and experiencing one’s true nature. The most beautiful part, aside from sharing the journey, is that the journey never ends and it keeps getting better. I would highly recommend the Yogaheart Yoga Training to anyone! The YYTT provides a supportive atmosphere and offers a kindness that you will not find anywhere else. It is a wonderful and peaceful yoga teacher training program; one that encourages growth; confidence and supports its students in their own journey. From the moment you meet Mandee you know that she is not just another yoga teacher and that the YYTT is not just another Yoga Teacher Training. There is an incredible sense of community rooted throughout this program. In addition to its well thought out curriculum, the YYTT offers its students a variety of sessions and workshops. This “bonus” allows for the YYTT students to explore and be exposed to diverse areas that they may not have otherwise been exposed to or considered. Mandee has put her [Yoga] heart & soul into this program…you will not be disappointed. The continual support you will receive from Mandee and from the other members of this beautiful yoga community of ours is invaluable. The love, wisdom and support you will feel throughout this training is what will make going to Yogaheart Yoga Training every month a pleasure. I would absolutely recommend Yogaheart Yoga Teacher Training. Mandee Labelle, has created the program with love and from a place of understanding, where yoga is truly a way of life. YYTT is offering me exactly what I need to be where I am and to know, experience and love my Self. 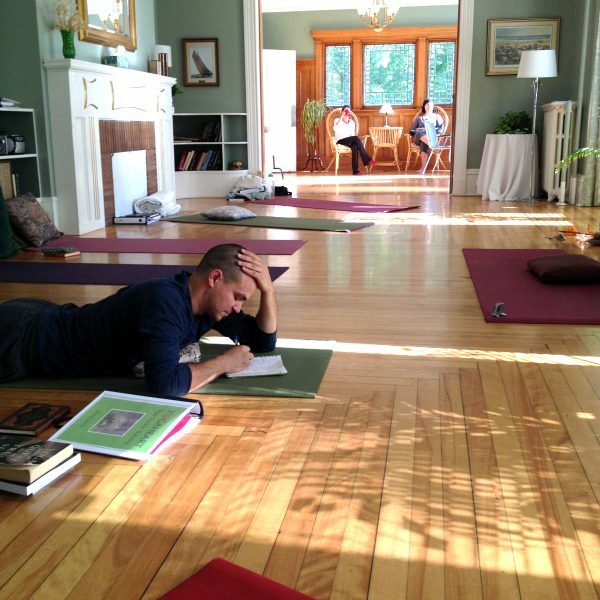 If you embark on YYTT, you will receive wise instruction that is full of heart, from somebody who lives and loves yoga. You will be encouraged to be patient with yourself, to do what you love and to take care of yourself. You will receive delicious and nutritious meals during yoga retreat weekends and very helpful information on a variety of related topics, such as Ayurveda, sound healing, etc. You will also be given a lifetime opportunity to come home, to recognize and actually experience your true, unchanging nature. If you want to know whether this is the program you are looking for, listen to your heart – it speaks only truth. The fee is $3900. Find out about payment plans and our Scholarship Program. Existing Yoga teachers and experienced practitioners are also invited to apply for certain specialty modules of the training to upgrade or add to their existing certificates. If this interests you, please inquire for pricing information about individual modules. Signup for receive email updates about our Yogaheart Yoga Teacher Training program. Applications for the next program are welcome if you would like to apply early, however the dates have not yet been set. You can download a PDF of the application form and mail in a handwritten form if you wish.